What makes Native America Jewelry vintage? Does it need to be made thousands of years ago, hundreds? Does it need to be blessed by shamans of the tribe or hold some kind of spiritual energy? No, of course not, what makes a Native American piece vintage is more about the authenticity and the style. The Native artists need to stay true to the tropes and techniques that have been used for hundreds of years. Pieces that evoke a sense of the past and their culture can be considered vintage in their own right. If you want old pieces, then you’re actually just looking for antique Native American jewelry. So where should you go to but some of these spectacular pieces? Like shopping for quality or authentic jewelry you need to focus on a reliable source. I have written a few blog posts on the subject of finding authentic Native American jewelry. The other part of vintage Native American is the traditional route. This really isn’t hard to find either, since there are only a few renowned contemporary Native American artists; typically they keep to the traditions of the tribe. Before the influence of traders during the dawn of the 20th century and the mass marketing much later, some Native artists have taken to using different gemstones to appeal to a much wider audience. However, these stones hold no particular religious or historical value. If you’re looking for vintage, think local. Everything that could be found in the Southwest region was used to create jewelry. One of the most popular examples is turquoise jewelry. The most common metal used by Native American artists is sterling silver. The ability to work with silver is a relatively new skill to the tribes, being brought over by the Spanish sometime in the 19th century. 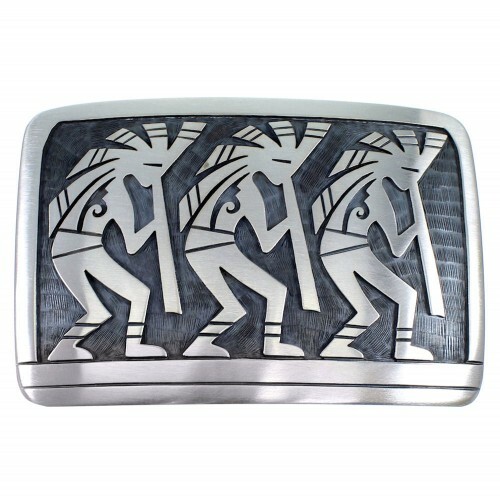 Although some tribes used copper and lesser metals, sterling silver has been the standard for almost 200 years. I’ve also written a few in-depth articles on this subject too, but to be brief I’ll tell you the basics for some of the most popular tribes. For Navajo jewelry, the stone will be the most prominent feature, backed by sterling silver. Their pieces will most likely be larger and more ornate. Zuni jewelry is more proportionate and typically will match stones for a well-balanced flow to the piece. They also incorporate a lot of nature and symbolism into their pieces as well. 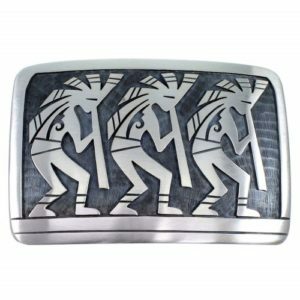 Hopi jewelry is unique in that they primarily work with sterling silver, choosing various inlay and overlay techniques to carve symbols and characters into their work as well.